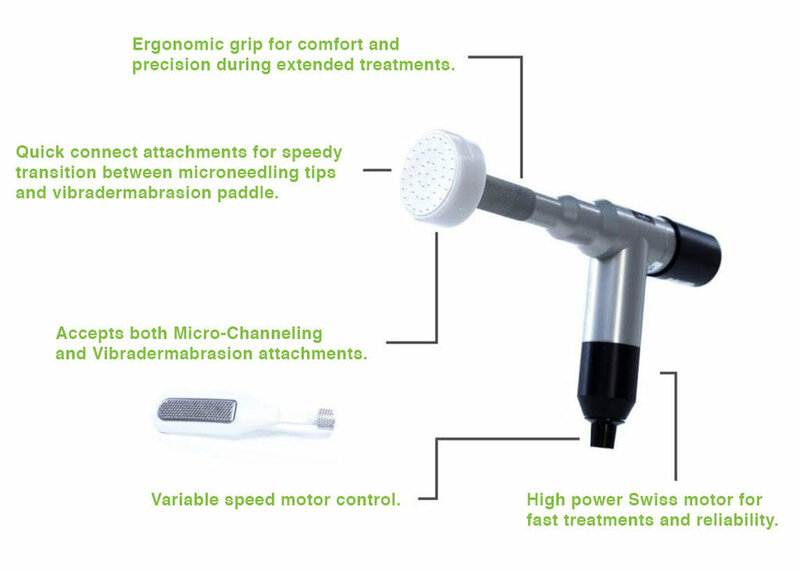 ProCell Therapies features a light weight and ergonomic design with a high-speed motor for fast, gentle exfoliation. This unique quick-connect design was developed by world-renowned dermatologist, Brian Zelickson, MD. Its innovative vertical stamping design provides speedy treatment, clean skin channel with less unwanted injury. To order directly, email orders@sc-medical.com or order now. Precision technology is tapped into the skin creating uniform microchannels. A single pass over the face using the ProCell system will create hundreds of thousands of microchannels. 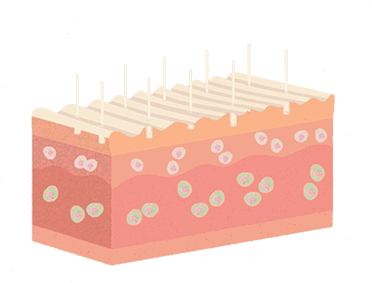 Each microchannel is surrounded by healthy tissue, which enhances the healing process. 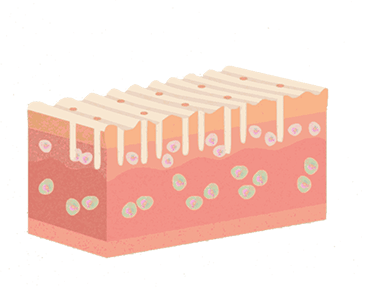 In response to each micro-injury, an inflammatory healing process begins which initiates the formation of new collagen.